Hello everyone, I hope you're doing really well. Due to lack of lighting and zero time I've posted a little later than I had planned, but hey I am back and with a review of a beautiful brush set that I've hardly heard of on the net! Zoeva brushes are very well known to be great cheaper alternatives to brands like MAC and Sigma. I had wanted to pick up some decent eyeshadow brushes for the longest time, but felt like with the amount of brushes in my collection I really couldn't justify a £50+ brush kit. Then one day I randomly stumbled across the En Taupe Brush Set (£40), and I was instantly drawn to it. The price is decent, because its a 7 piece kit with 6 full size brushes and a really nice brush case/pouch...so each costing around £5.71. 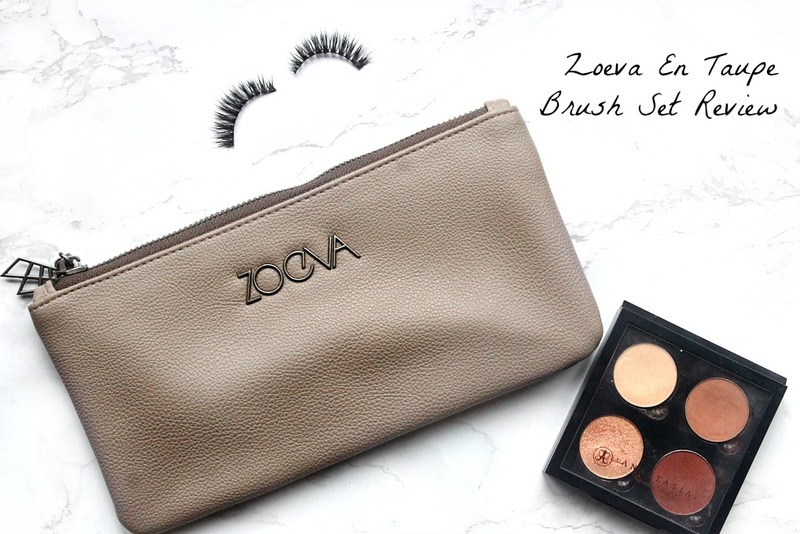 You can buy a single zoeva eyeshadow brush for almost a tenner, so thats why the brush kits are really popular and well worth the money. I'm going to be reviewing each brush in detail and then summing it all up at the end, enjoy! Starting with one of their most popular brush, the 227 soft definer (£9.00 individually) is well known to be a dupe for the MAC 217. I love it too, just as much as everyone else because it really is a 'one-brush-wonder'. You can do a basic or even slightly intricate eyeshadow look with just this brush, it is just flat enough to be good at applying a shade all over the lid, whilst also being fluffy enough to blend shadows out. I don't have the biggest lids, so I really appreciate the size of this. It's one of those brushes that I could do with having a couple in my collection, I've used this the most from all six and I really do think everyone should have a 227 in their life! 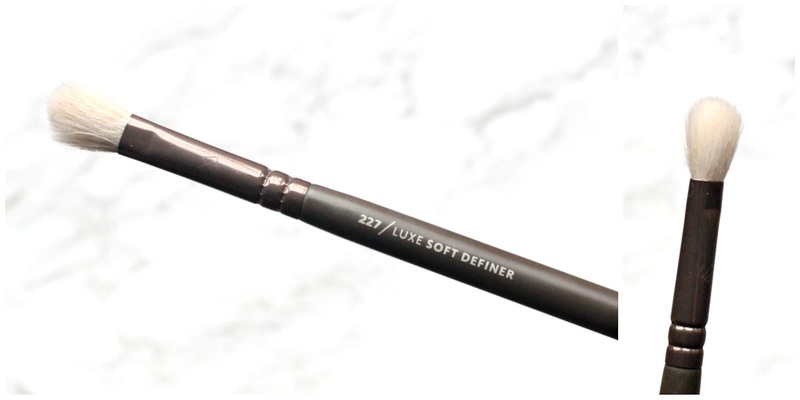 Moving on to another favourite, the 238 Luxe precise shader brush (£9.00 individually) is another brush I think everyone needs and one that isn't talked about much, but its made such a huge difference to my makeup routine! This cute little brush is fantastic for adding colour along the lower lashline, which has been a big game changing step in my eyeshadow application. It also makes a great inner-corner highlight brush, as well as a good one to use for smudging darker shadows along the upper lashline, if i'm not going for a crisp wing. Another thing I love it for, is adding a darker shade into my eye shadow look. We've all been there where we've used a fluffy crease brush, dipped it into a dark shadow and then ruined everything because thats just TOO MUCH shadow. 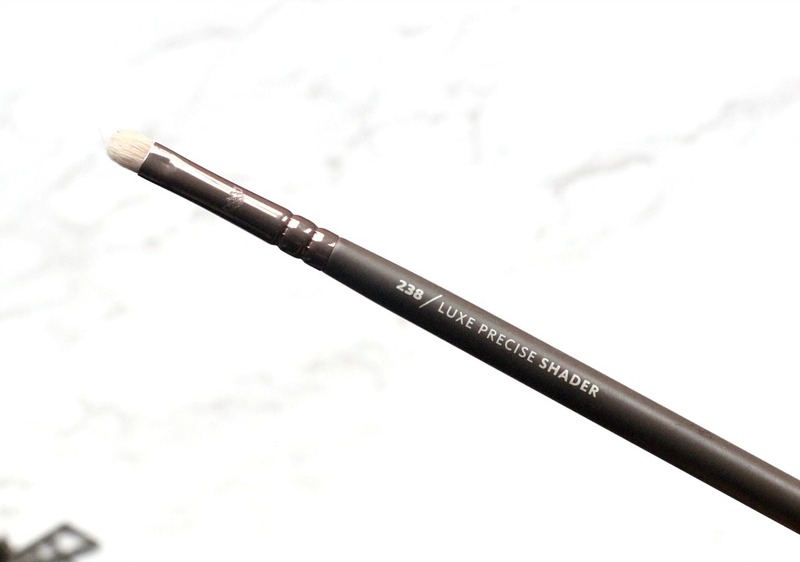 The precise shader is the perfect way to introduce a tiny bit of shadow into the crease, to the further blend out with a different brush. Oh AND of courseeeee its excellent for adding glitter or a pop of colour in a small area. I mean I thin the amount I've written for such a tiny brush says it all, love love love it. 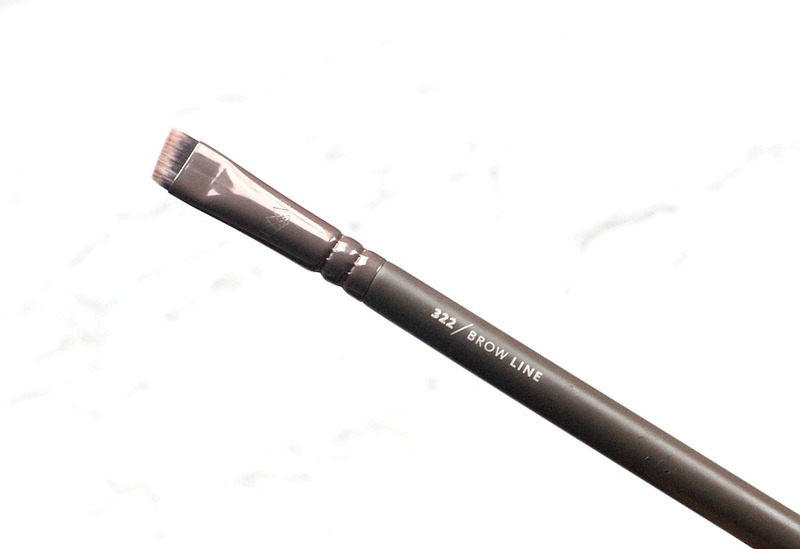 Another brush that I adore is the 230 luxe pencil brush (£9.00 individually), it's basically the perfect size for blending out shadow along the lower lashline, you can apply AND blend shadow in small areas with this unlike the one above - although I still love that one but we've already discussed that haha. I also like this for adding deeper shades in the crease, and for very detailed blending of small areas. Though I'm not sure I'd spent almost a tenner on it, I'm very glad that it is included in this kit! 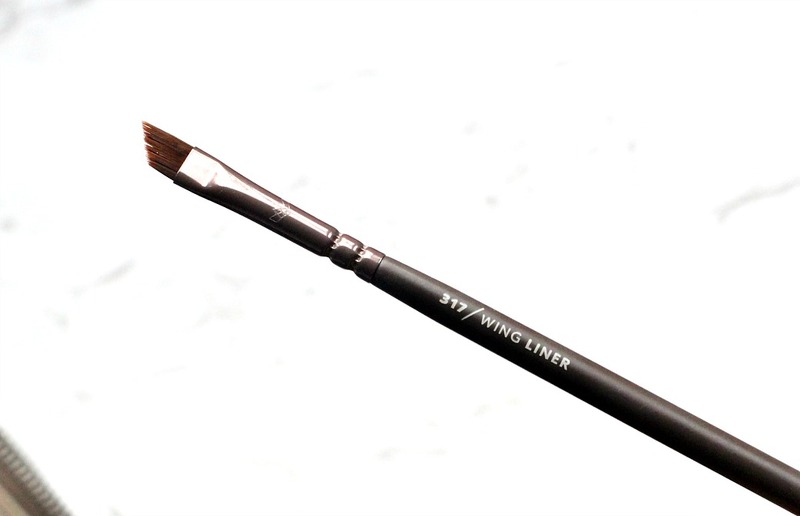 The 317 wing liner brush (£8.00 individually) is another dupe for an unethical brand that I shall (and have) only mentioned once in this post lol. It has a very prominent slant, which makes it fantastic for both winged liner and the brows too. 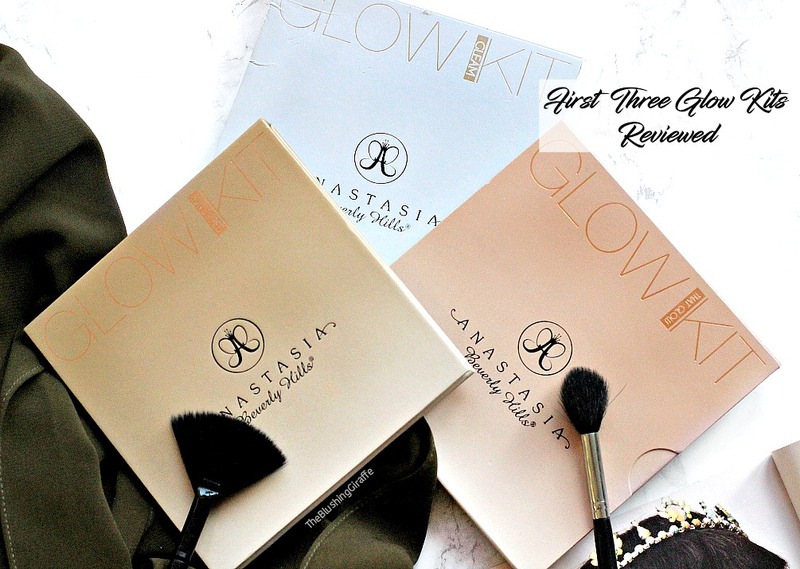 I hardly used it when I first go the kit, however I really do enjoy it with the ABH dip brow and the colourpop alternative too. Whilst I don't have the time to do a wing with a brush and a gel liner pot on the day to day, when I do have more time to play with makeup this is THE brush to use. It's a good one, not a total must have but I'm pleased to have it. Moving on to the 322 brow line (£8.00 individually), this is by far the most unusual brush in my collection and I wasn't sure what to do with it at first! I've kind of discovered that it works beautifully with the dip brow again, especially if you have thicker brows or want to go for more of a bolder look. I think some people also use this to clean up their brows. I tried this once and it worked well but its was just quite time consuming...for a special occasion sure, for everyday? No chance! Haha. Again its a good brush, would I pay £8 for it alone? No. However it works well for the brows and the brows are such an important feature of the face, I ain't mad about having another brush specifically for them. And finally the second blending brush in this kit, which is also very well known and loved is the 228 luxe crease brush (£9.00 individually). This is great, I usually opt for this when I apply a wash of colour over the lid, or add some warmth into the crease. The bristles of this brush are quite a bit longer that the 227, which means doesn't pack on as much colour and thats also why I think they're both like sister and go so well together, especially when doing a lot of blending! I appreciate that its still quite long and streamlined, so although you can blend out shadows quickly, you can still be pretty precise. A little photo to show you the difference between the 227 and 228 (on the right). 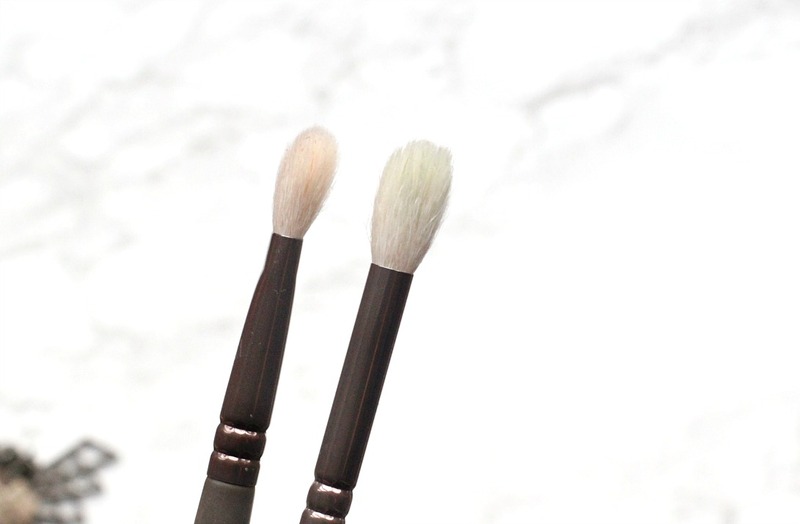 If you're looking for some decent blending brushes that'll last you a good few years, but you don't want a whole brush kit, these two are your best bet! Pros: Affordable and fantastic value for money, it includes brushes that I can't see my collection being without now! But also the brushes that I'm not crazy over, I still use frequently, so there really aren't any dud brushes at all. They're comfortable to hold and very well made brushes which'll last a good few years. I really like the case you get with it, I'll often travel with it and finally I have a place to keep my beauty sponges too haha. The quality is definitely on par with more expensive brushes, so having it in a value set makes it even better. Also having a brush set means I've been able to try out brushes that I wouldn't usually even considering buying individually. Cons: Although the brushes do retain their shape just fine, sometimes they get a lil stained. Since taking these photos I have washed them a few times and it tends to depend on the kinds of shades I'm using. However thats really my only con! Overall: I honestly think this is the best eyeshadow brush kit they offer in terms of price and variety of brushes too! 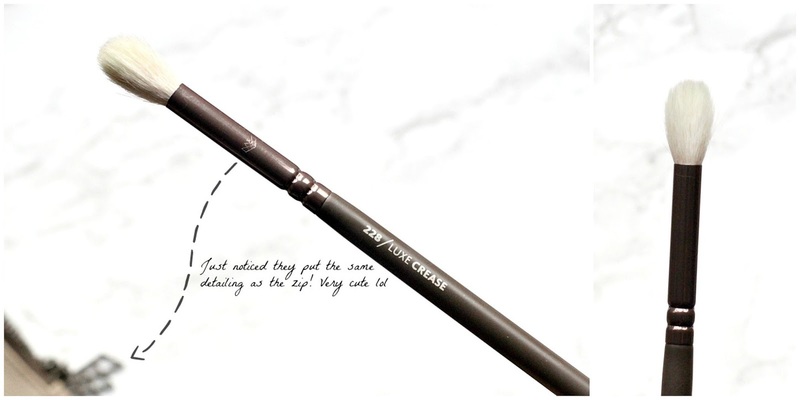 It definitely deserves more recognition which is why it had to be my first review of 2017 - if you've been umming and ahhing over zoeva eyeshadow brushes, I really don't think you'd regret picking this up. Also it'd make a fantastic gift for any lady in your life, if she has a lot of brushes already she won't be mad at more and if she's just getting into makeup, this'll be SO useful and she will love you. Have you got any Zoeva brush kits? Any fave brushes? Requested | Whats in my work bag?